On the evening of April 21st, the RoboLancers set out on a 15 hour bus ride to St. Louis, Missouri. 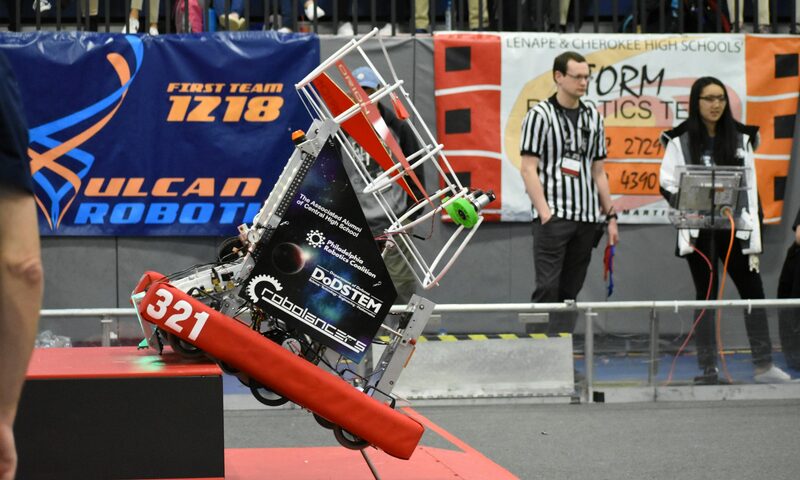 As the winner of the Chairman’s Award (an award given to the team that “embodies the the purpose and goals of FIRST”) in both the city and regional competition, the RoboLancers were eligible to go to the Worlds competition. Of course, the fee for this trip was not cheap. However, our generous sponsors, including the University of Pennsylvania and Drexel University, as well as the alumni of Central High School and other generous donators, have all pitched in enough money in order to pay for all the expenses. We stayed in St. Louis, Missouri for a total of 5 days. Conveniently, we stayed at the Westin Hotel, which was only a short walk’s distance away from the competition arenas. Upon arrival at the arena (which was actually a football field), most of the seats were filled, with the exception of the seats on the upper-level. This was quite surprising, considering that only the FRC (FIRST Robotics Challenge) teams were in the stands. Aside from the FRC teams, there were also many FLL (FIRST Lego League) teams there as well, although it was on a separate floor. The FTC (FIRST Tech Challenge) teams were kept in a completely different building due to the lack of space. During the FRC competition, our robot underwent a significant change. 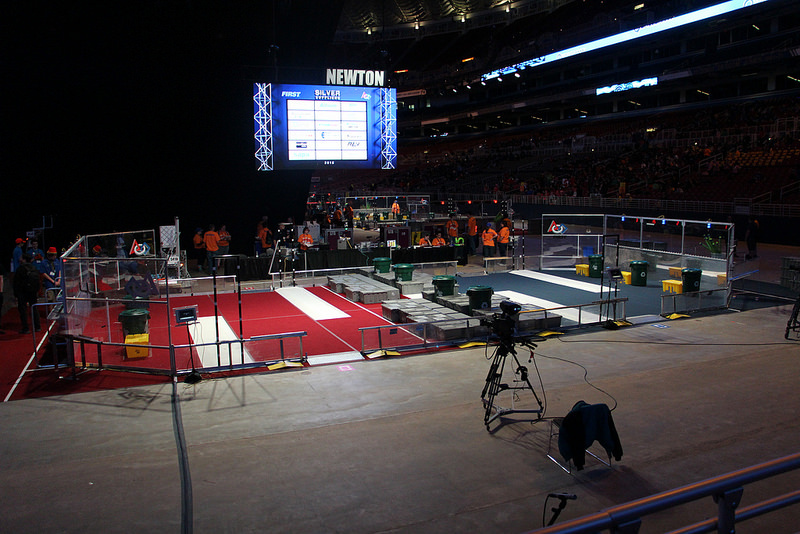 Most robots were able to grab the recycling containers in the center of the field, which netted their team a huge bonus if they managed to place it on top of a stack of totes (gray rectangular boxes). Without these two recycling containers, it became much harder to outscore your opponent unless they made a mistake or accidentally knocked over their stack. own recycling can-grabbers. This was done during the competition, and it essentially is two metal rods that open up into a T shape in order to grab the backs of the recycling containers. 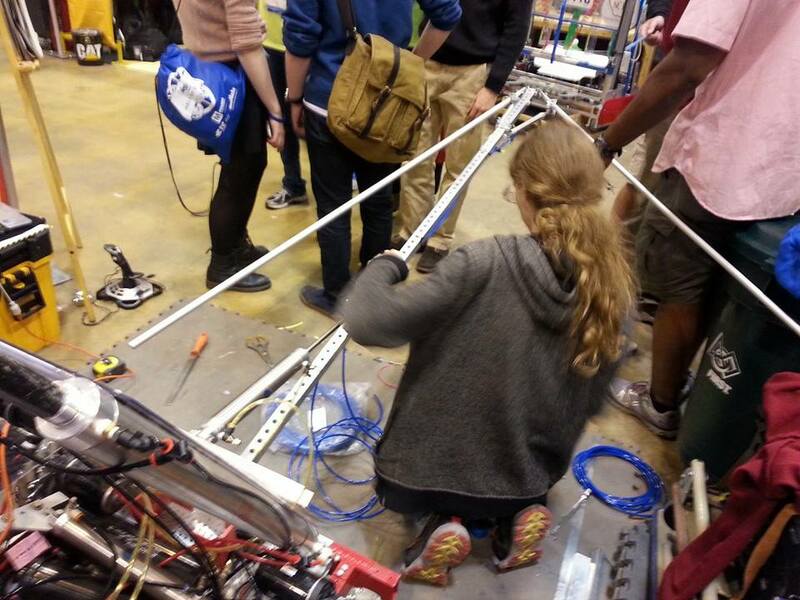 Although we made significant improvements to our robot, we did not manage to win in our division (Newton division). Of course, even without the robots, there were a lot of other things to do. For example, there was the Innovation Faire, located in the Renaissance St Louis Grand Hotel. There were a lot of companies, such as NVIDIA, Boeing, PTC, and LEGO. 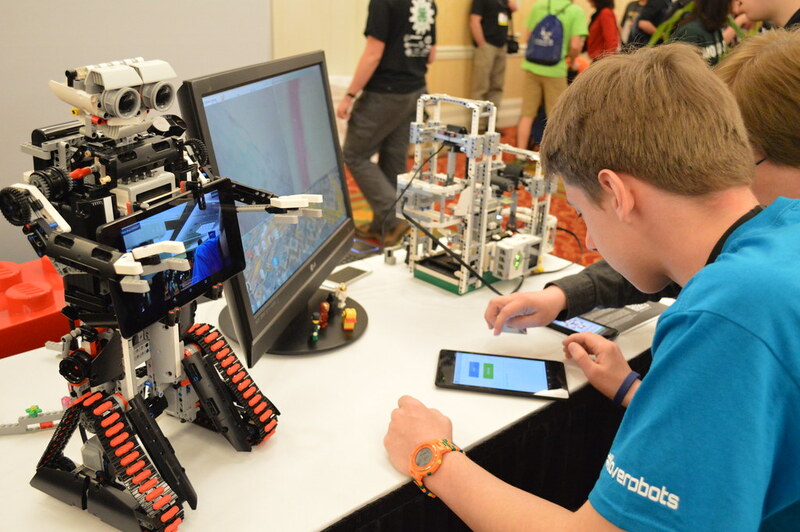 Many colleges seeking aspiring children and teenagers were there as well, including Yale University, MIT (Massachusetts Institute of Technology), and Kettering University. Aside from that, I also managed to take a selfie with Woodie Flowers. No, not the wooden cardboard cutout version, but the actual person. 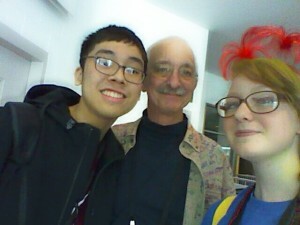 Huge shout-out to Ariana Versace for managing to find Woodie Flowers amidst thousands of people, and of course, to Woodie Flowers for agreeing to take a picture with us. The trip to St. Louis, Missouri, was an amazing experience, and one that I hope to have again. Of course, even though we didn’t win, it was an eye-opening experience. This was our second time going to the Worlds competition. But you know what they say, third times the charm. Would you like to see more pictures? If so, please click here.